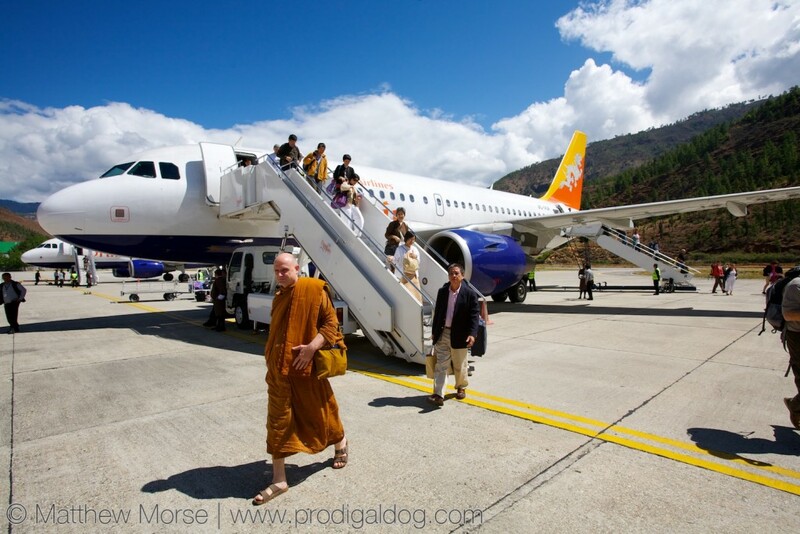 The nation of Bhutan is like a modern day Shangri-La. Nestled into the peaks of the Himalayas, it’s extremely difficult to access by land, and has only one airport with only a few flights a day. Bhutan is largely Buddhist and focuses great efforts on preserving its cultural heritage, beautiful natural resources, and national identity. The country is perhaps most famous for its Gross National Happiness, a measure devised by its government. In contrast to GDP, an economic measure used around the world, Gross National Happiness measures the contentment of the population. 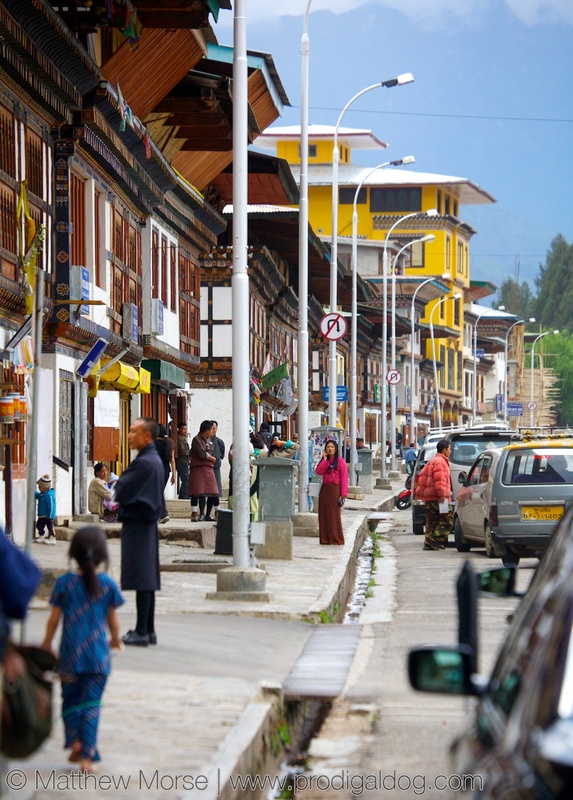 The main street of Paro sits about 3,000 feet below the Tiger’s Nest. 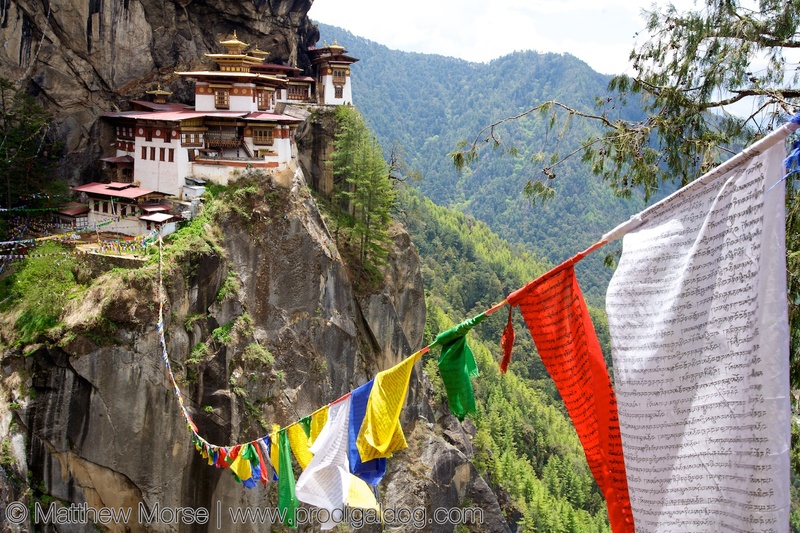 Bhutan is a must-see amongst adventure seekers, mostly due to its numerous treks available through the surrounding Himalaya, and breathtaking Buddhist monasteries and temples. Chief among them is the Tiger’s Nest, not far from Paro, home of the country’s airport and, therefore, arrival point for most visitors. Tiger’s Nest, or Taktsang, can only be reached on foot by hike. The trip is advertised to take roughly 2-3 hours, which I found to be true on average. More experienced hikers will move more quickly, while others may need more time. 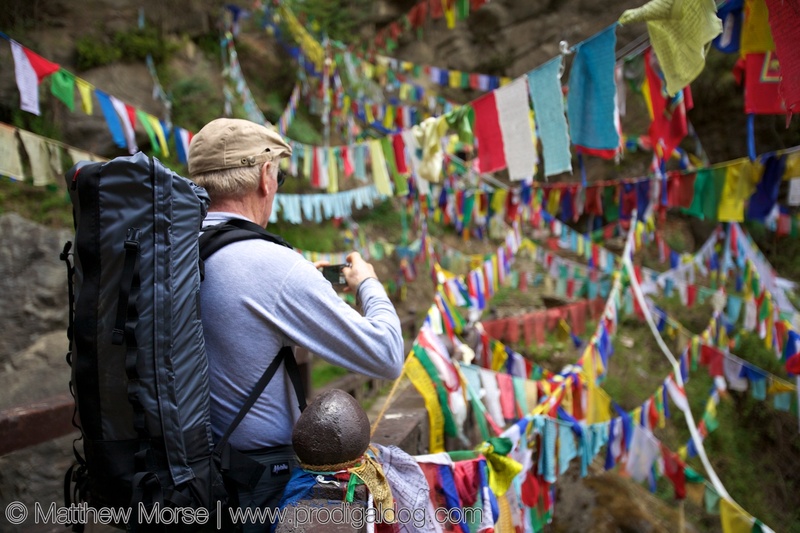 As long as you’re in reasonably good shape (and acclimatized to the altitude), you should have no problem reaching the monastery — there were two members in our group in their late 60’s who had no trouble, but did need a little extra time. The journey isn’t overly arduous or technical. As mentioned, acclimatization to the altitude is important. 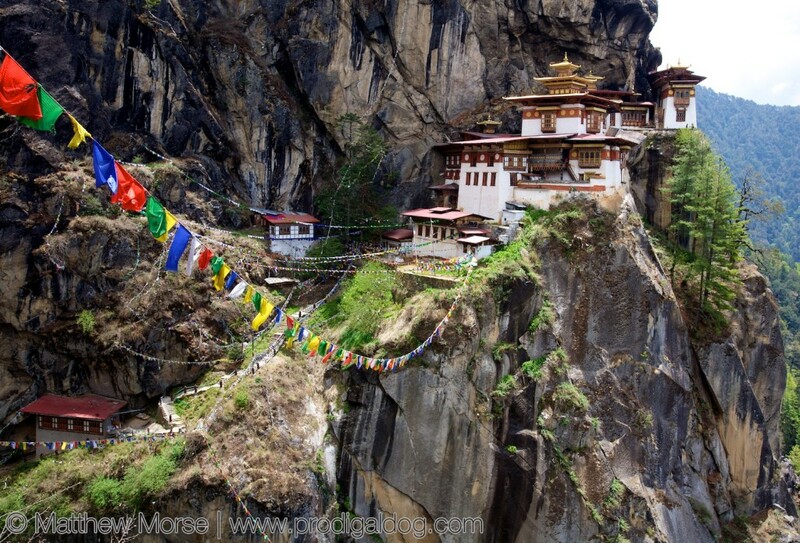 Paro sits at an altitude of roughly 7,200ft (~2,200m), while Tiger’s Nest is just above 10,000ft (~3,050m). Be sure to drink plenty of water, as this aids in acclimatization. The Tiger’s Nest of today is a modern recreation, but is nevertheless stunning, and even seems at first glance to be out of a fairy tale or movie set. The original monastery, built in 1692, caught fire and burned down in the late 20th century, mostly due to the remove location — it’s hard to get a fire crew and sufficient water up a hiking trail. A trip to the Tiger’s Nest has a feeling of being other-worldly, as with many places in Bhutan. This stunning creation is unlike anything you’ve ever seen!